You must have seen someone speaking on the MIC and the amplified voice coming from the speaker, how this is possible? Is there any circuitry between MIC and speaker of we can directly connect Microphone with speaker to get it working? 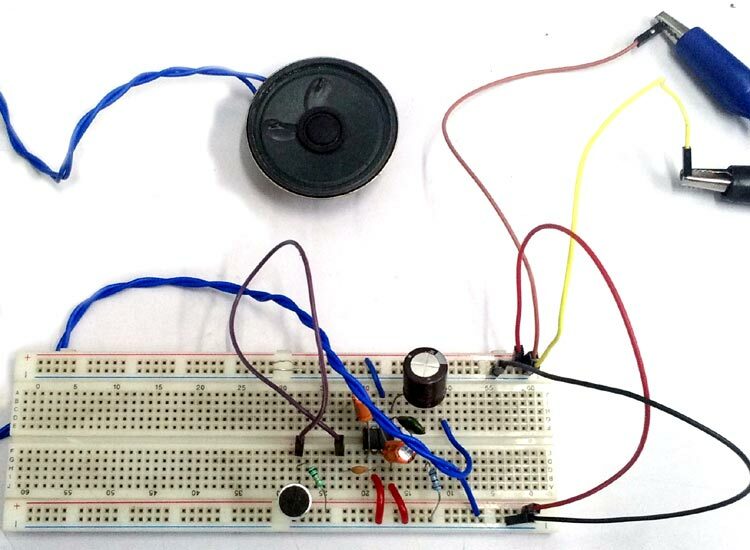 In this circuit, we learn to build a simple Microphone to Speaker system, in which input sound is given to the MIC and we hear the amplified version from the speaker. The microphone is a transducer device which converts sound energy into electrical energy. Microphones are often referred to a MIC. A microphone is used to capture some sort of sound and produce an electrical signal according to it. A microphone has a sensitive component which converts the air pressure variations created by the sound wave into electrical signal. Depending on this component and the method to convert the sound wave into Electrical signal, there are various type microphones are available in the electronics and sound engineering field. Most common types are Dynamic Microphones, Condenser Microphone, Piezo electrical microphone etc. A condenser microphone uses a diaphragm which vibrates and used as a capacitor plate to produce electrical signal variations, whereas dynamic microphones are use moving coils to change a magnetic field and produce the electrical signal. We know that a speaker converts Electrical energy into mechanical energy and produce a sound wave, and we also know that, the microphone does exactly opposite thing which produces electrical wave from the sound signal. So can we directly connect the microphone with the speaker? Like the image below? Well, NO, it is not possible. It is true that the microphone produces electrical energy but it is not sufficient to drive the huge load, that is speaker. The electrical output across the microphone provides a tiny amount of current which is too small to do something useful out of it and the amplitude is also low. 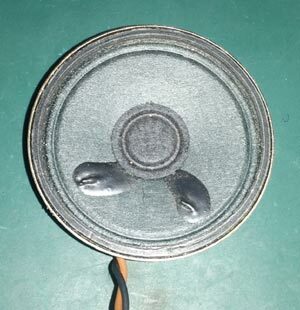 On the other side, speaker needs huge current with large amplitude to produce enough movement and to generate the audible loud sound. So, what is the solution? It is easy, we need to add a preamplifier, possibly Power amplifier or both to make something useful and to produce a louder sound from the output speaker. 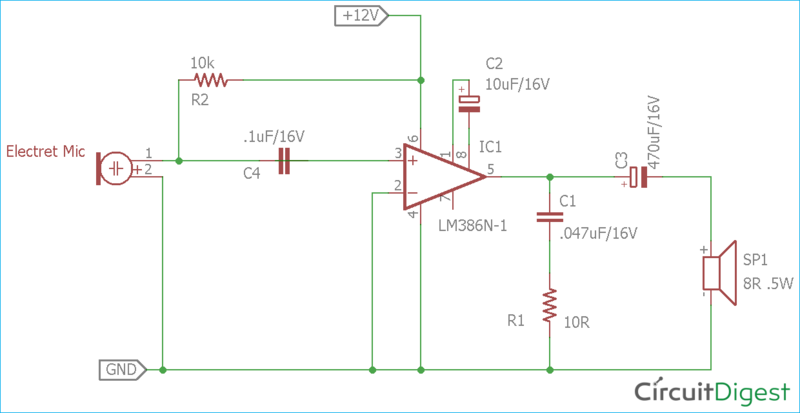 In this project, we will make a small microphone amplifier using an LM386 power amplifier which is enough to produce loud audible sound out of a ½ Watt, 8 Ohms loudspeaker. If you are interested in amplifiers then check our other Audio Amplifier circuits. A simple amplifier circuit can also be constructed with transistor without using any amplifier IC. The circuit is exactly same as shown in the LM386 datasheet from Texas Instruments. We removed the 10k pot section and added additional bias circuitry of the microphone amplifier. In the circuit diagram, the Amplifier is shown with the respective pin diagrams. The amplifier will provide 200x gain at output depending on the input. The 10uF capacitor across pin 1 and pin 8 is responsible for the 200x gain of the amplifier. We did not change the gain of the amplifier in our circuit construction. Also, the 250uF capacitor is connected across the Speaker. We have changed the value and used 470uF instead of 250uF capacitor. There is a 0.05uF capacitor along with a 10R resistor. This RC combination is called as snubber or clamp circuit which protect the amplifier from back EMF, produced by the speaker. We used a common but close value of 0.047uF instead of 0.05uF. Other circuitry and connections remain the same in our construction. Also, the power amplifier can drive the wide range of load, from 4 Ohms to 32 Ohms and can be powered using 5V to 12V. We need to be careful about this rating otherwise we could damage the power amplifier or the output speaker. To connect the IC in breadboard or soldering in veroboard, we need to know the pin diagram of the Power Amplifier IC LML386. Pinout and Pin description of LM386 audio amplifier IC is given below. The IC consists of 8 pins, Pin - 1 and pin - 8 are the gain control pin. In the schematic 10uF capacitor is connected across pin 1 to pin 8. These two pin set the output gain of the amplifier. As per the datasheet a design, the 10uF capacitor is connected across these two pins and due to this, the output of the amplifier is fixed to 200x. Learn more about using LM386 audio amplifier IC here. Now in input section, we have used an Electret microphone. Electret microphone uses electrostatic capacitor inside a capsule. It is widely used in a tape recorder, phones, mobiles, as well as microphone based headphone, Bluetooth headsets. An Electrets microphone consists of two power pins, Positive and Ground. We are using Electret microphone from CUI INC. If we see the datasheet we can see the internal connection of the Electret microphone. An Electret microphone consists of a Capacitor based material which changes the capacitance by the vibration. The capacitance changes the impedance of a Field Effect Transistor or FET. The FET needs to be biased by an external supply source using an external resistor. The RL is the external resistor which is responsible for the gain of the microphone. We used a 10k resistor as RL. We need an additional component, a ceramic capacitor, to block the DC and acquiring the AC audio signal. We used .1uF as our Microphone DC blocking capacitor. 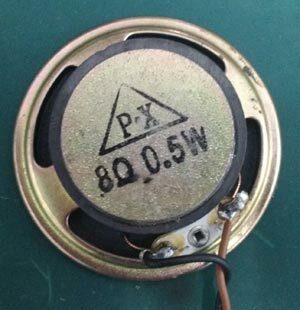 The total resistive load inside the electrets microphone is 2.2K. To learn more about the microphone, see how MIC is used in electronics circuits. Working of the circuit is simple and can be understood from the pin description of the pins of LM386 IC Complete working of the circuit is explained in the video given below. Construct the circuit in a Veroboard. PCB is a good choice. Remove the R2 and use a potentiometer to adjust the gain of the microphone. Connect a long wire across Speaker and keep it at larger distance from the microphone. The feedback will be lower. Use additional filters to get clean sound output. Use proper low ripple power supply unit.